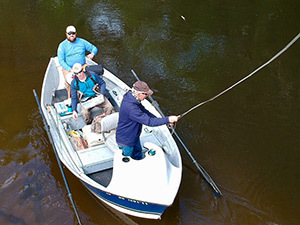 Wildwood Anglers is the Premier Toledo Fly Fishing Guide Service and Fly Shop. 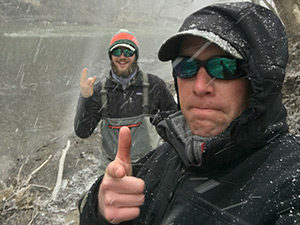 We specialize in Fly Fishing on the Maumee River, Rocky River, Vermilion River, and other Lake Erie tributaries. We’ll customize your trip to your expectation and skill levels. With potential options of: targeting species (Steelhead, Salmon, Trout, Pike, Muskie, Smallmouth, Carp, etc), desired trip duration, wade vs. float, and the size of your group. 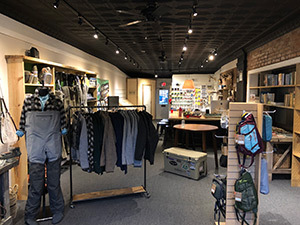 Come by and see us at your brick-and-mortar location on Main Street in Sylvania to check out fly fishing gear and apparel, to talk shop, and to book local and desination fly fishing adventures! Our goal is to helps anglers of all experience levels sharpen the skills they can user anywhere. We aim to provide a comprehensive outdoor experience so our clients appreciate all nature has to offer.